Exercise is good for both the body and the brain. In the classroom it can exponentially improve students’ learning and retention of material by engaging their whole selves in the learning process. Movement raises students’ heart rates, increasing circulation and getting oxygen to the brain. Exercise increases the levels of ‘feel-good’ neurotransmitters like serotonin in the brain and gives learners a sense of physical and emotional well-being. Students will improve their mental focus by creating mind-body connections, leading to increased alertness and reduced fidgeting and fighting. And of course, the movement experience is lots of fun! Dance, more specifically, has the added benefits of challenging learner’s minds and engaging the emotions. 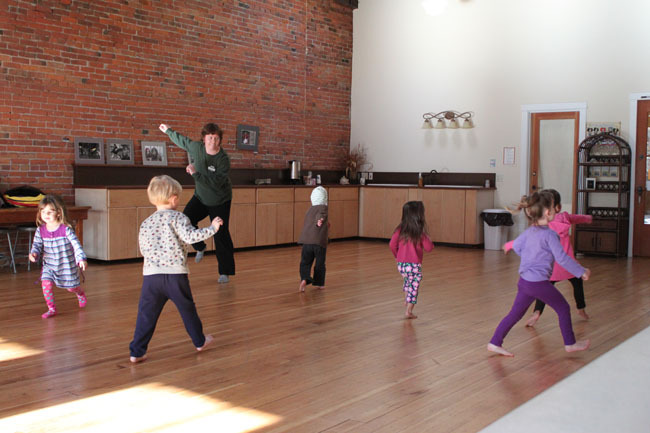 Learning group and individual movement sequences involves creative thinking and problem-solving and enhances teamwork and interpersonal skills. The opportunity for personal expression leads to improved emotional IQ, and increases students’ self-confidence through movement proficiency.